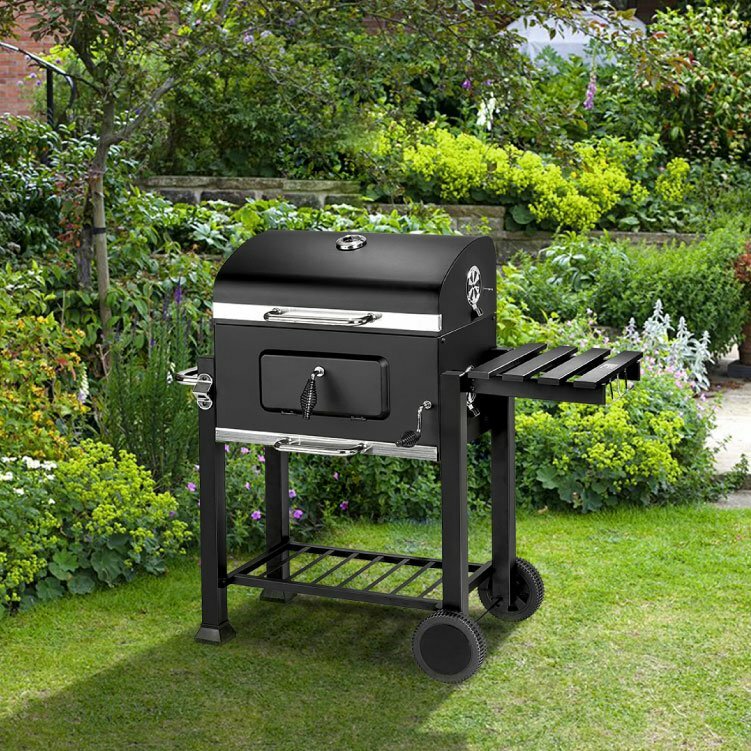 We humans have an innate magnetism for open-air smoke, and char-grilled meat. Especially if it is a weekend and the whole family is here watching fixtures and drinking beer. 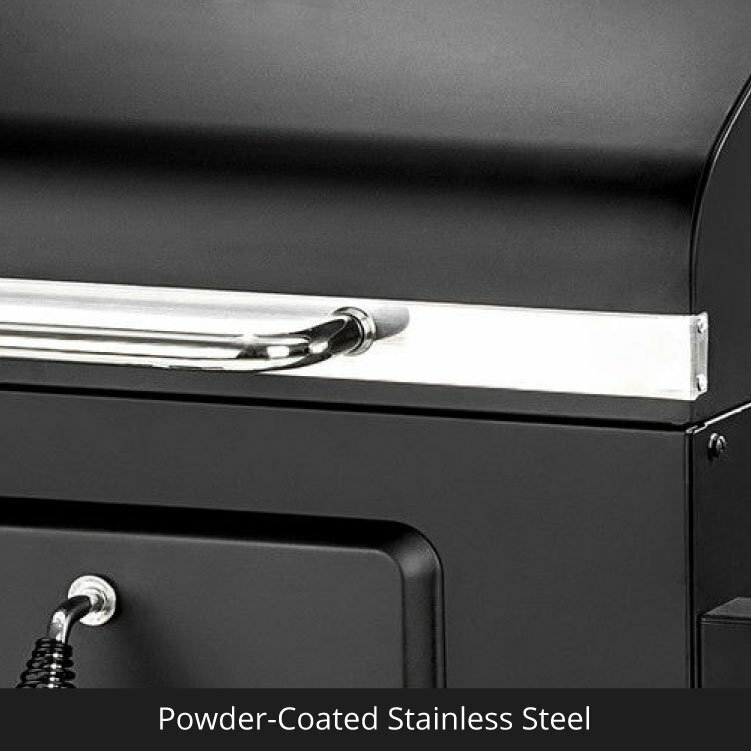 The Charcoal BBQ Smoker Grill is the ideal partner a grill master would want to have. 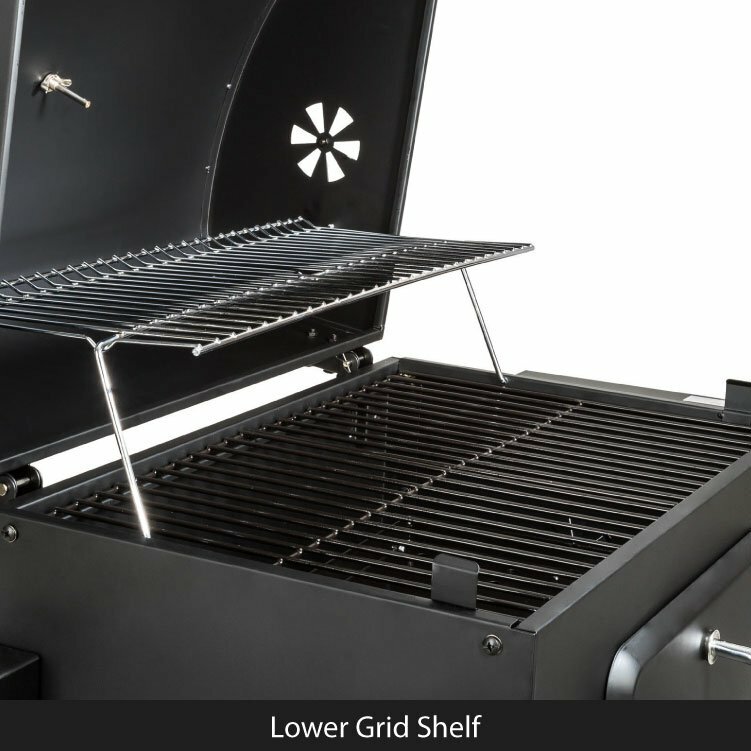 A powder-coated, stainless steel grill that found the perfect combination of style and functionality. Extra strong shelf holds up plates of meat and condiment. Just fold it down when not in use. 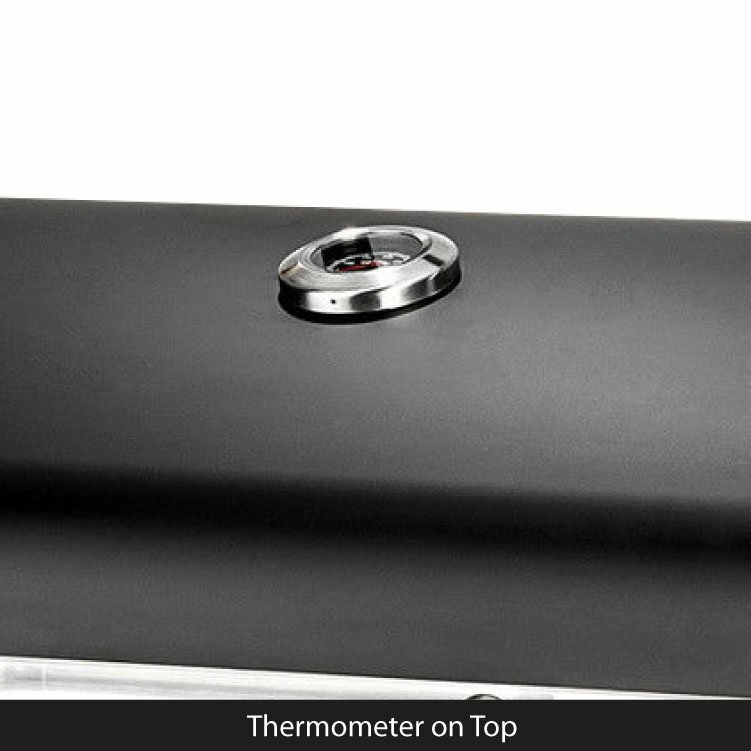 This also comes handy when holding up your drinks while you turn the meat. 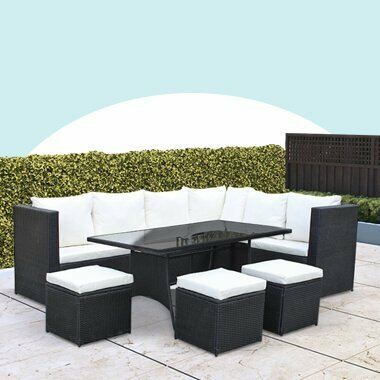 The small things make big difference. 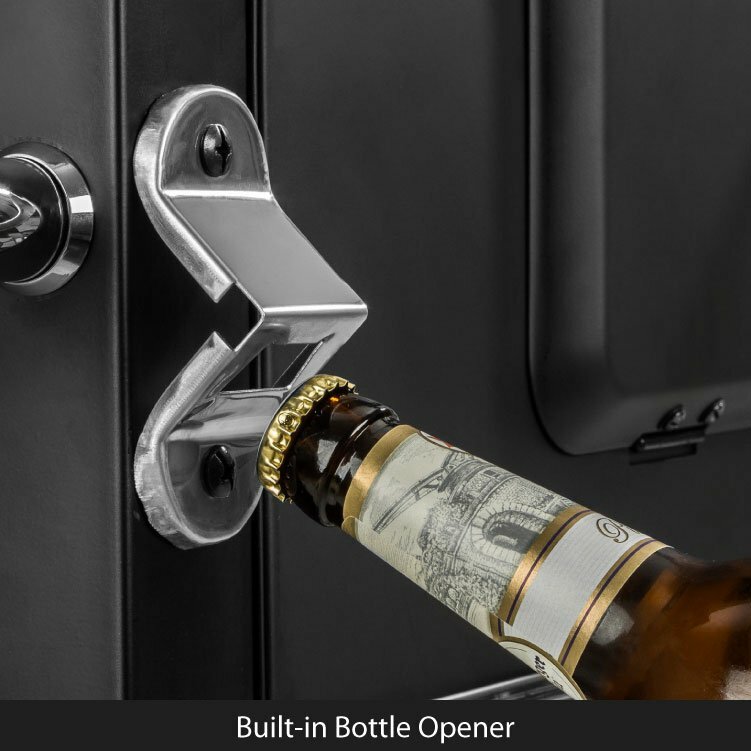 Attached within the frame is a bottle opener. You can’t drink and drive, but you sure can drink and grill! 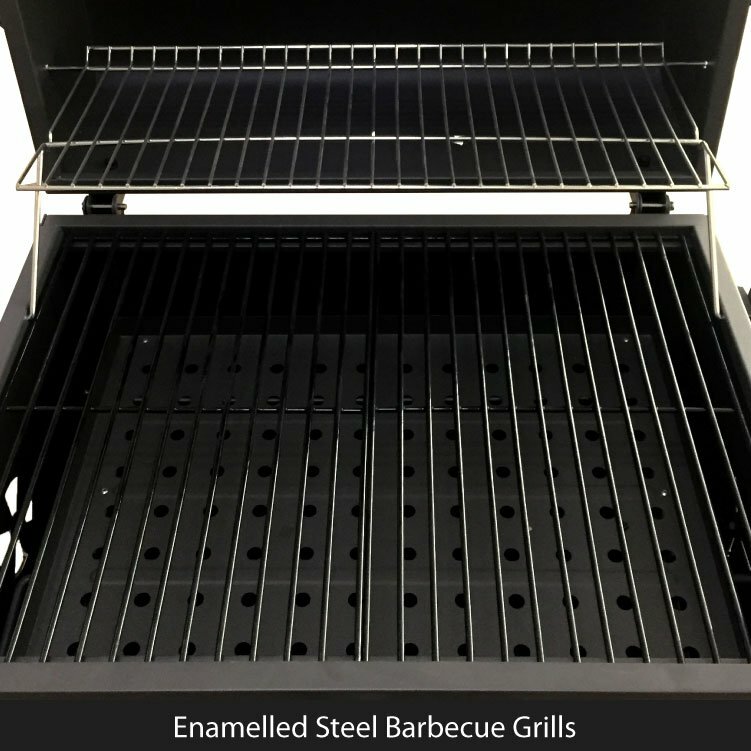 The Charcoal BBQ Grill sports an extra layer of grate for keeping cooked food warm on top of the spacious cooking area. 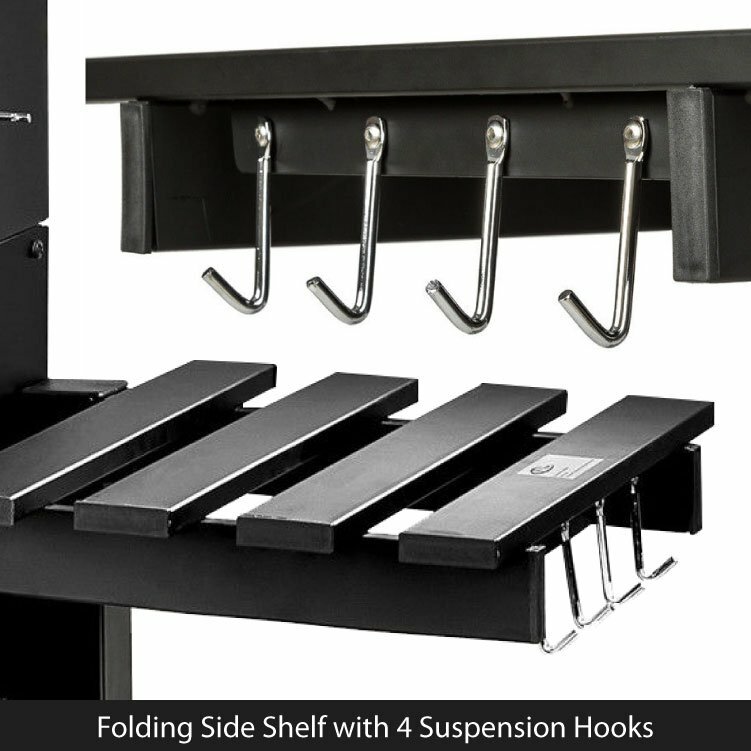 Utility hooks attached to the side shelf keeps your tongs organised. 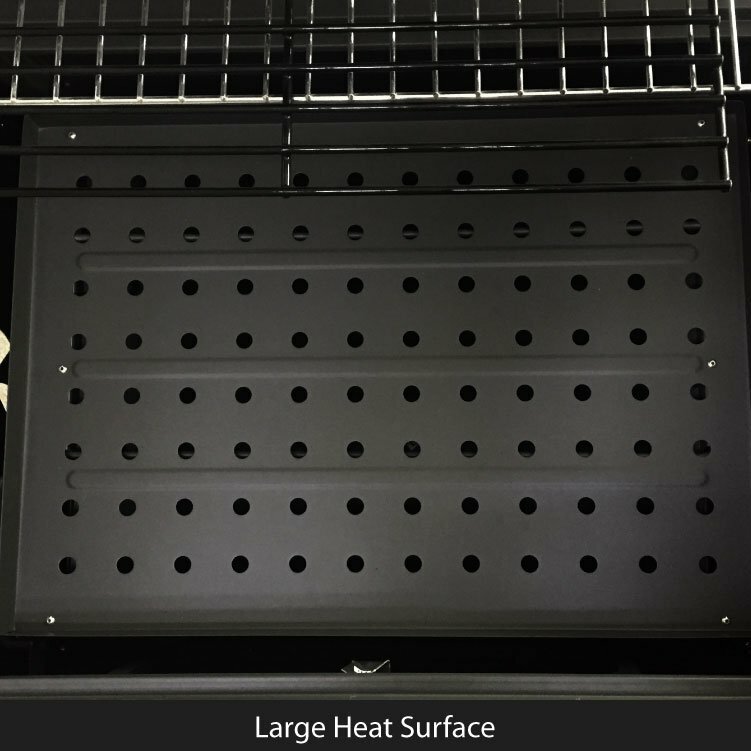 Control the heat temperature with the crank on the side of the hood. 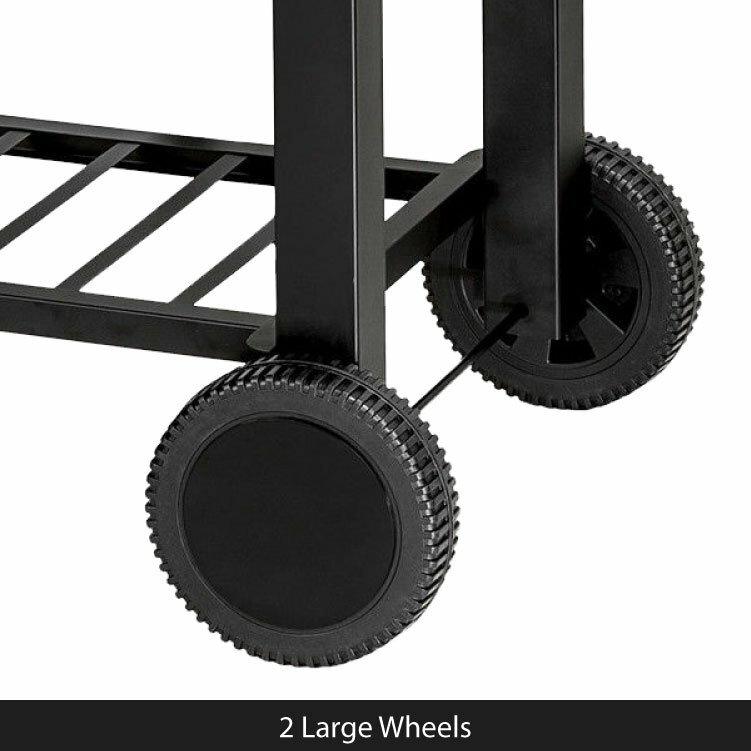 Thick framing and wheels makes sure your BBQ grill is stable but movable. 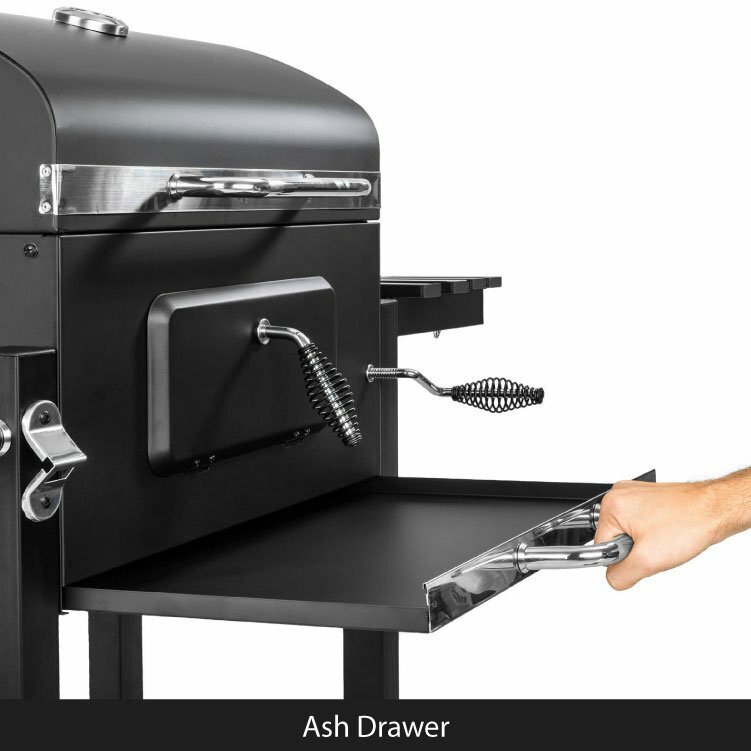 The Charcoal BBQ comes with an ash drawer to ensure that charcoal particles do not get to your food. 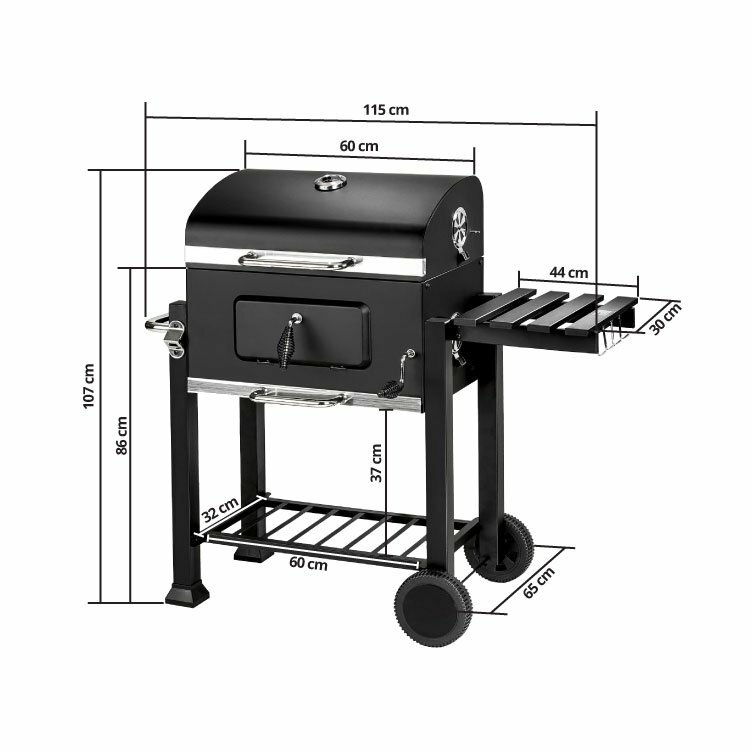 Assembled Dimensions 115cm x 107cm x 65cm 3'9" x 3'6" x 2'2"
Grilling Area (WxL) 36cm x 55cm 1'2" x 1'10"